If you're looking for an efficient, reliable stolen vehicle tracker for your Audi then look no further than the CobraTrak Plus. This Insurance Approved Cat 6 Vehicle Tracker includes European Coverage and Tow Away Alerts, as well as many other fantastic features to give you peace of mind that your Audi is protected from theft. 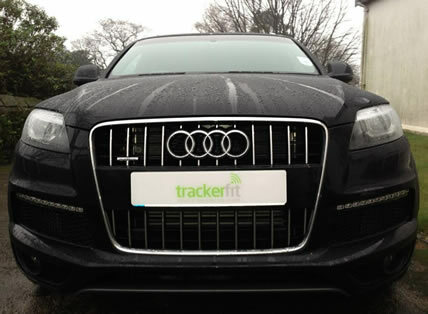 At Tracker Fit we're experts we have years of experience when it comes to providing and installing Audi Trackers. Our Thatcham approved installers are fully trained and qualified in the installation of Audi trackers and have much experience installing advanced tracking solutions of a number of Audi models. Particularly important to the owner was that the Audi Tracker had Tow Away Alerts which means an alert triggered when motion is detected with the ignition switched off. The customer was thrilled with the discreet installation of their Audi Tracker. If you're looking for an Audi Tracker then look no further than the CobraTrak Plus.